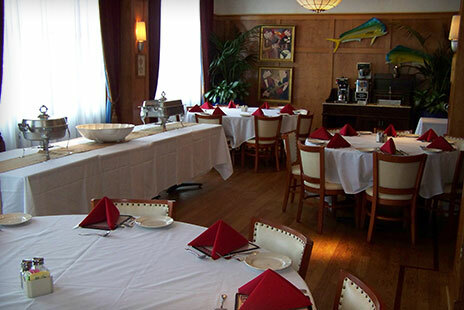 This location has 5 Private Rooms. Saturday night minimum room expenditure after 4:00 PM may apply. 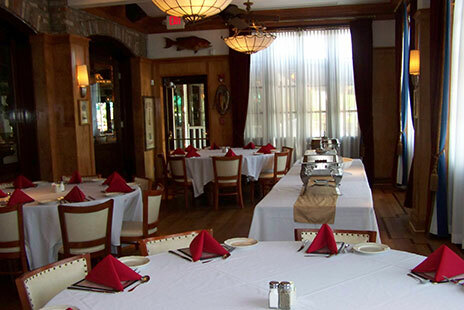 The largest of our five rooms is perfect for receptions, company events and family reunions. 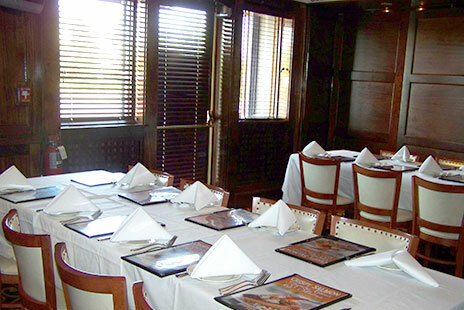 The elegant ambience of the room is enhanced with rich carpet, mahogany wood and adjustable lighting. This room is also equipped with two drop down presentation screens as well as a large screen television with two smaller units on each end of the room. 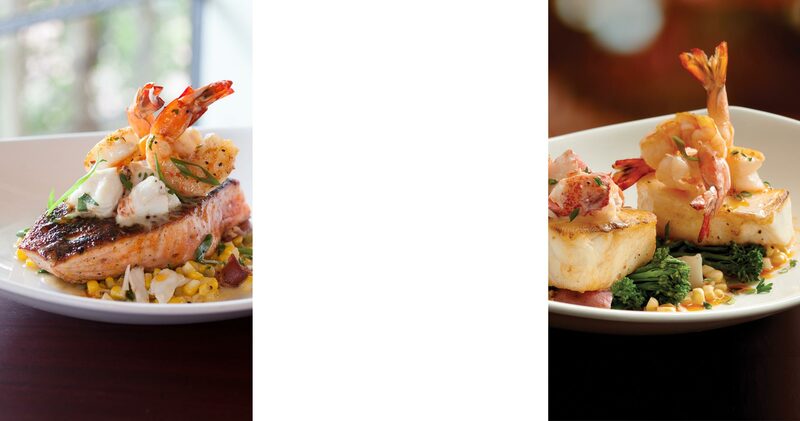 The Bienville is an intimate space displaying New Orleans style artwork and our extensive wine collection which gives the room an warm, inviting atmosphere. 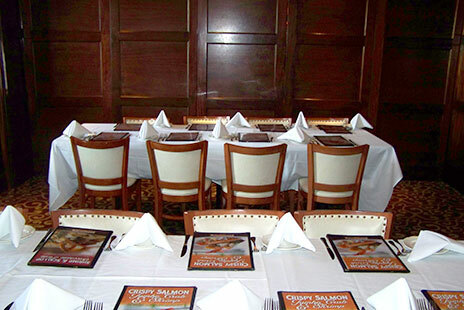 Perfect for small business or club luncheons, this room has AV capability and a built-in projector screen for presentations. If more space is required, this room can be combined with the Conti to provide seating for 40. 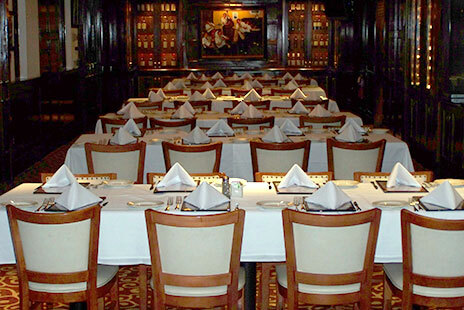 The Conti is surrounded by dark, mahogany wood paneled walls and wine display shleving. 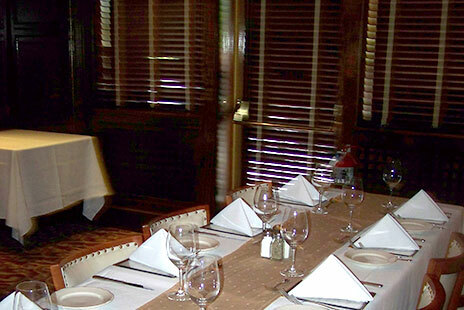 The rich carpeting in the room enhances the acoustics for presentations with our large screen television. 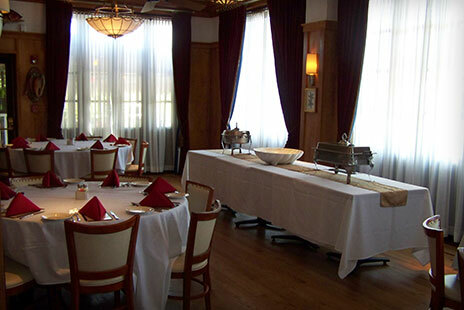 If more space is required this room can be combined with either the Bienville or the Domaine to provide seating for 40. 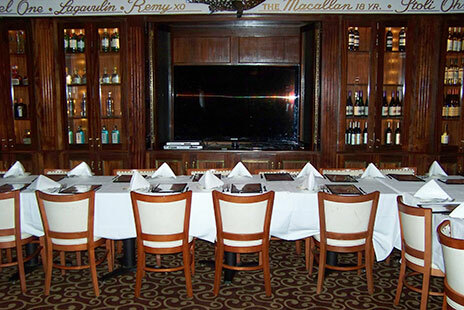 This room is just the right size for an intimate family gathering or business meeting. This room has AV capability and a built-in projector screen for slideshows. If more space is required this room can be combined with the Conti to provide seating for 40. 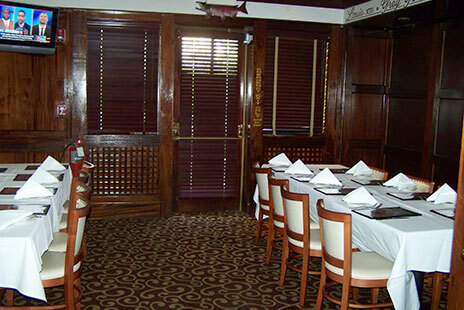 Our traditional style banquet room will take you down on the bayou to New Orleans, with its French doors, plantation-style windows adorned with elegant draperies and hardwood floors. The large windows make the room bright and airy. 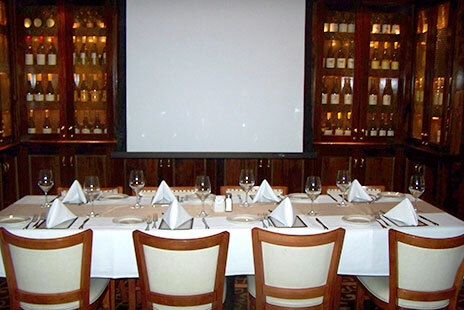 The Fountain Room has AV capability and a built-in projector screen. 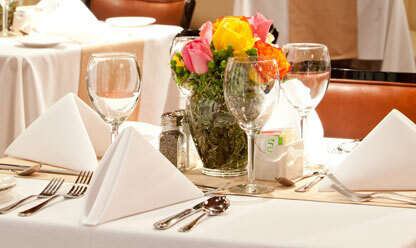 A deposit of $50.00 is due on the date of confirmation to reserve the room(s).